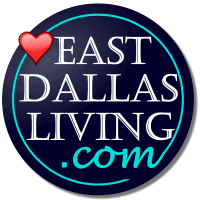 East Dallas residents treasure the charm and historic architecture of their neighborhoods. 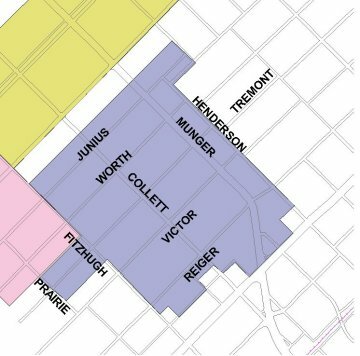 With the intent of keeping that charm intact, many East Dallas neighborhoods are covered by preservation restrictions of varying stringency. The two main types of preservation restrictions are found in Conservation Districts and Historic Districts. Conservation Districts are zoning tools designed to help communities preserve specific characteristics of their neighborhoods — they can cover numerous attributes, like architectural styles, heights of structures, densities of the area, and setback guidelines. 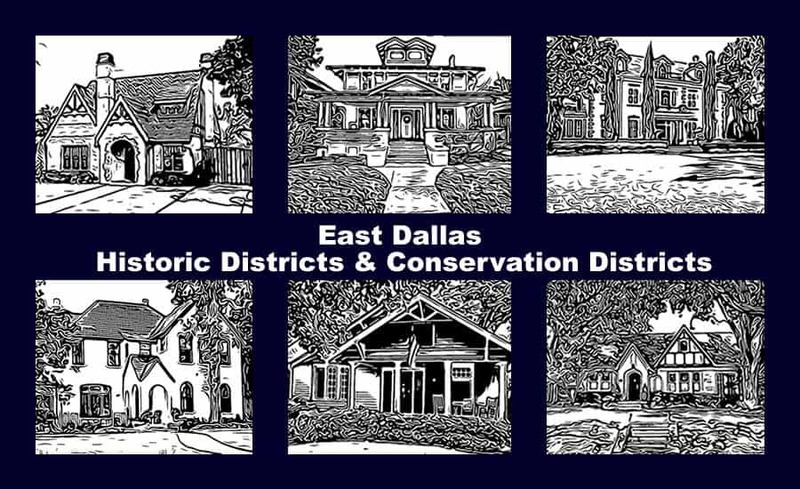 Conservation Districts began in the city of Dallas in 1988; the process to become a conservation district is usually 12-18 months. Historic Districts are more restrictive than Conservation Districts. Historic Districts are intended to preserve the structure exactly as it was originally built — including original materials, styles, colors, and other elements. Every change must be approved by city staff members, neighborhood task forces, and the Landmark Commission. The review timelines between the two vary significantly. 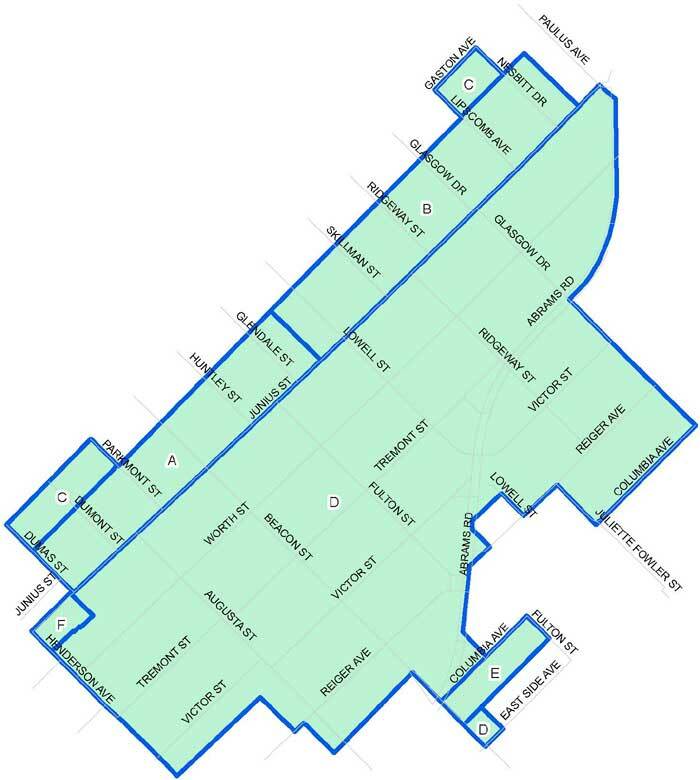 Conservation Districts just aim to maintain specific standards of the area and alterations are reviewed by city staff members only and typically take 1-30 days depending on the scope of work. 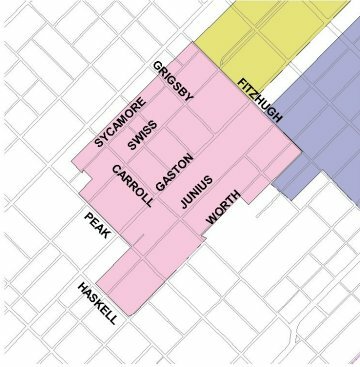 The review process for an Historic District can take up to 4 to 6 weeks. The Lakewood Conservation District covers only a small part of Lakewood Proper (see link to map of Lakewood Conservation District). The Lakewood ordinance (see link to ordinance) regulates several aspects (the location of garages, exterior paint colors, building setback lines, etc.) New home construction within the boundaries of the conservation district must be either Tudor, Spanish Eclectic, French Eclectic, or Colonial/Georgian. The Lakewood Conservation District has about 200 homes within its boundaries. The conservation district applies to the southwest part of Lakewood Proper and only covers a small percentage of the total area of the neighborhood. Prior to beginning any exterior remodeling in the Hollywood Heights/Santa Monica Conservation District, homeowners must complete a work review form and submit photos and sketches of the proposed work to The City of Dallas. The Hollywood Heights/Santa Monica ordinance sets certain standards on architectural elements of a home’s exterior (only approved paint colors, for instance) and also has placement rules for certain additions (garages, driveways, etc.). There are also specific guidelines for more complex remodeling, such as additions and retaining walls. 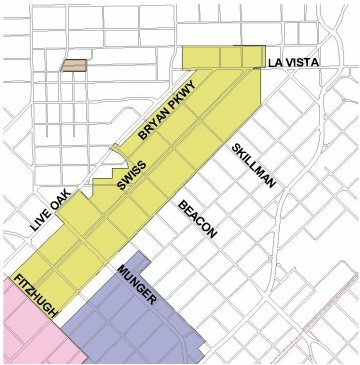 In 2003, the eastern portion of the M Streets neighborhood separated to become M Streets East Conservation District to preserve the neighborhood’s collection of Craftsman bungalows, Colonial, and Tudor Revival houses. The M Streets East Conservation District showcases the historic, varied architecture and mature oak and pecan trees that give the neighborhood the treasured look and feel of an early twentieth century American suburb. numbers of Colonial Revival, Prairie, and Tudor-style homes. The Belmont Addition Conservation District requires builders to construct new homes in the architectural styles of the neighborhood; it also requires builders to observe the existing setbacks and heights in the area, different from what is allowed by the city code. Like all Conservation Districts, these regulations serve to maintain the neighborhood’s unique aesthetic appeal and ensure the survival of the neighborhood’s attributes which are so treasured by its residents. Vickery Place has similar architectural styles to its surrounding neighborhoods, including Tudor, Colonial Revival, Craftsman, and Prairie. Vickery Place residents became concerned as older historic homes were torn down and replaced by new construction that focused only on the individual structure and not the cohesion of the surrounding neighborhood. 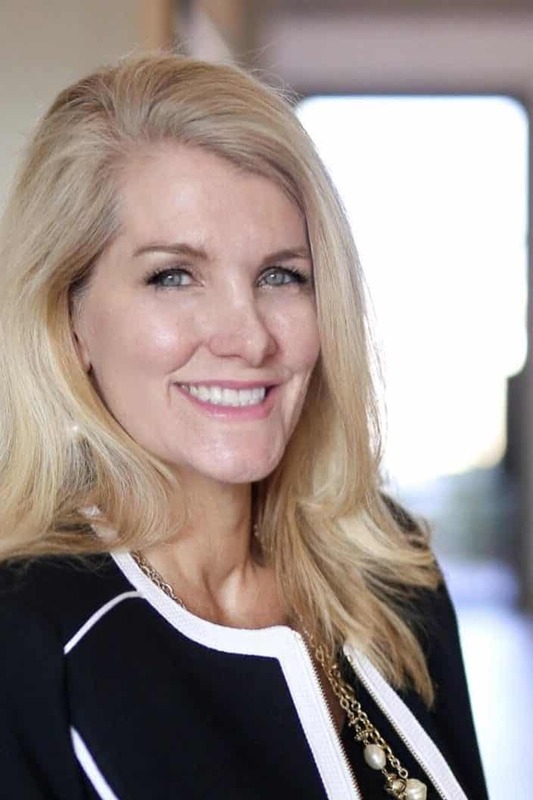 Residents didn’t want to deter new construction or renovation, but at least wanted to set forth guidelines that would maintain continuity and preserve what they loved most about their neighborhood. In 2006, the Vickery Place Conservation District was formed. Swiss Avenue was the first local historic district designated in Dallas, in 1973. Once part of the Munger Place subdivision, Swiss Avenue contains approximately 200 homes showcasing a variety of historical revival, Prairie and Bungalow styles in both intact and restored condition. Swiss Avenue is also well known for its exquisitely landscaped parkways and properties. With over 200 homes, Munger Place represents the largest intact collection of Prairie-influenced homes in North Texas. Established in 1905 and designated as a historic district in 1980, Munger Place is well known for its homes’ 10 and 12 foot ceilings, wide-open entry halls, and large, leaded glass windows. With one of the highest concentrations of Victorian homes in Dallas, Peak’s Suburban Addition was Dallas’ fourteenth historic district and was designated in 1995. Peak’s Suburban Addition features Victorian, Prairie, and Craftsman homes in addition to streetcar apartments from the 1920’s. Dallas’ largest historic district, with more than 800 homes in the Craftsman, Prairie and Tudor styles, Junius Heights is also the most recent historic district, earning that designation in 2005. Junius Heights is also noteworthy for offering the largest collection of Craftsman homes in the Southwest.